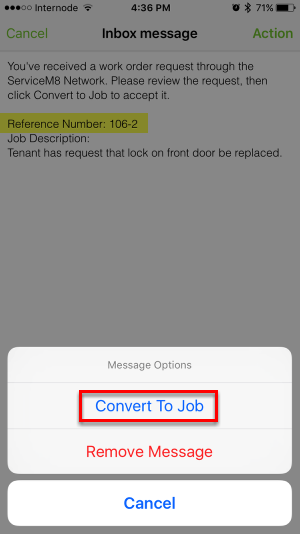 This will convert the Network Request into a job in your ServiceM8 account. 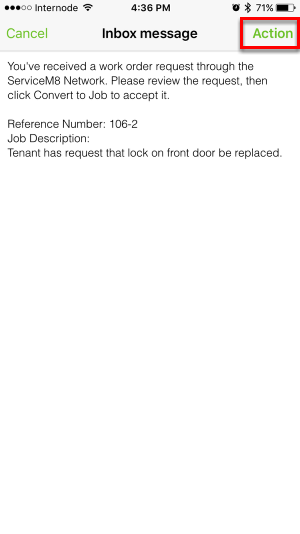 The Network Request reference number (106-2 in this example) will become the PO Number of the job. 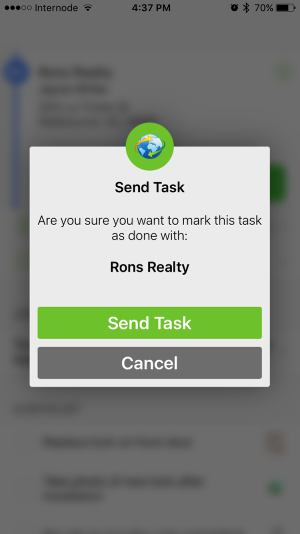 Tap "Send Task" to mark the requirement as complete and share this with the sender of the Network Request. Tapping Cancel will leave the requirement un-completed. 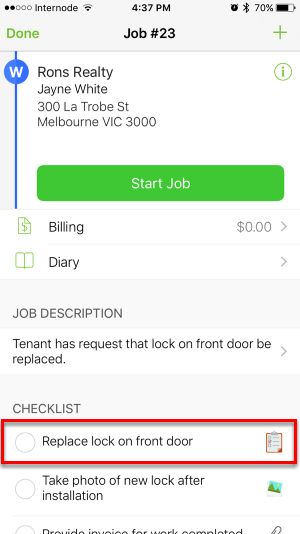 Tap the "+" button at the top right of the job, then tap "Network Update". You can enter a message and optionally select attachments to send to the business that created the Network Request. 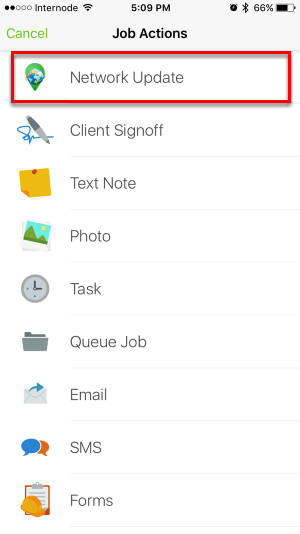 Please note that messages sent & received this way are currently only viewable on the Dispatch Board job card, however you will receive a ServiceM8 notification and an e-mail for any network update messages sent to you. 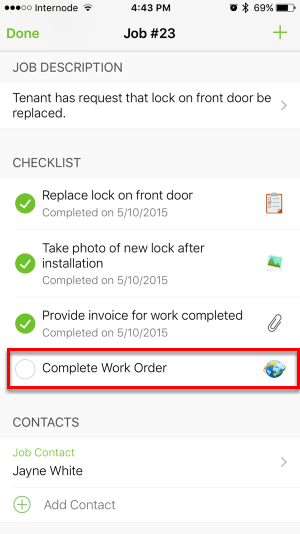 After all other requirements have been completed, you can tap the final "Complete Work Order" requirement to mark the Network Request as complete.